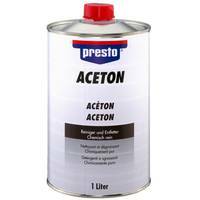 presto Acetone is a diluent for nitro, nitro combination lacquers, adhesives, as well as natural and synthetic resins. It dissolves Neoprene, adhesive residue and bonded polystyrene and acrylic glass. 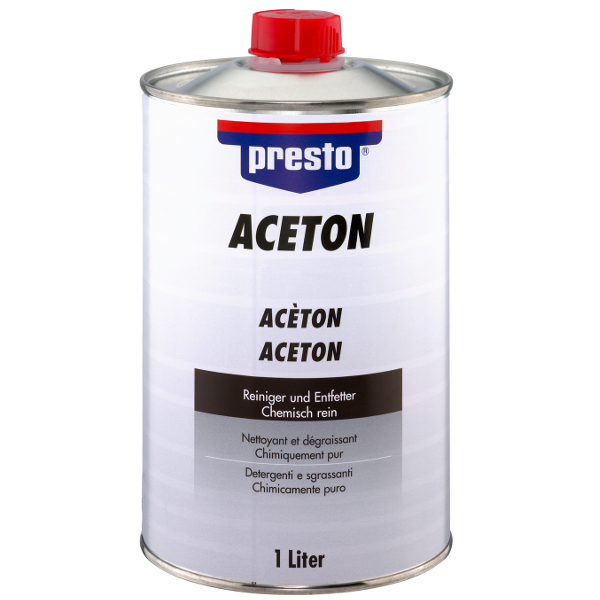 It is also highly suitable for cleaning and degreasing of metal parts.